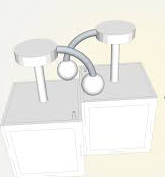 Tangible Interaction design work includes computationally enhanced materials, objects, and places of various sorts. 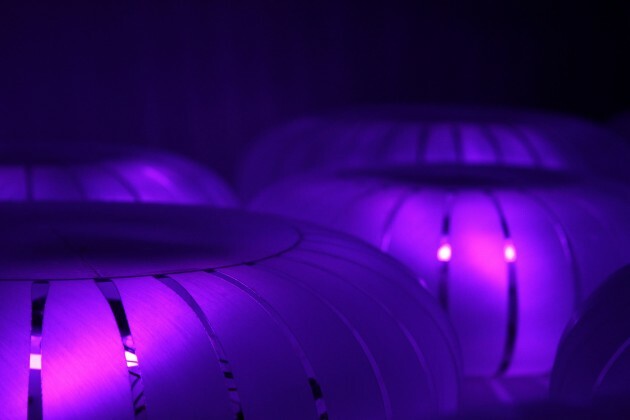 We’ve worked on tangible interaction projects in furniture: adding computationally mediated behaviors to tables, chairs, and more; in music, embedding sensors and actuators in objects to make sound; in tangible interaction that you wear on your body. 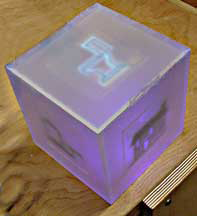 We’ve built computationally enhanced construction kit toys, and investigated tangible interaction to promote learning. 2006 A slowly ‘drifting’ projection of an aerial scene on a floor with pressure sensors change the image’s drift direction. 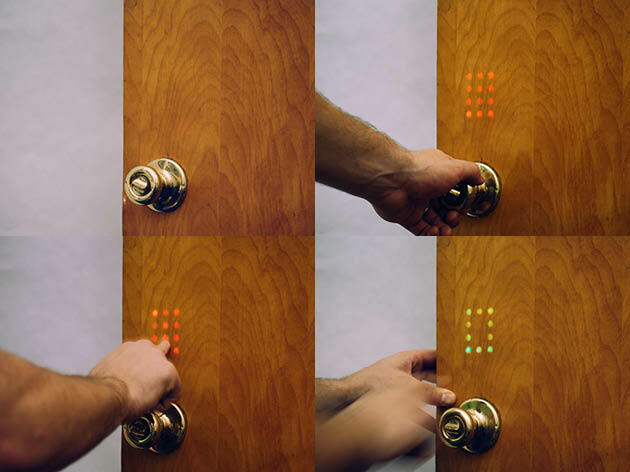 2004 Two prototype ambient displays that bring energy usage display indoors, break the information into understandable parts, and are easy to read. 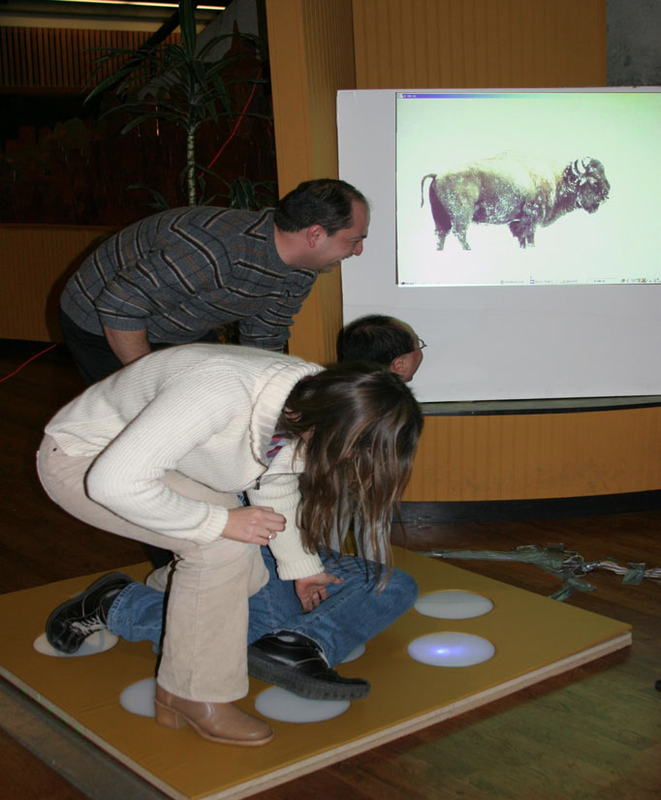 2003 A tabletop tangible interface for the MouseHaus pedestrian simulator. 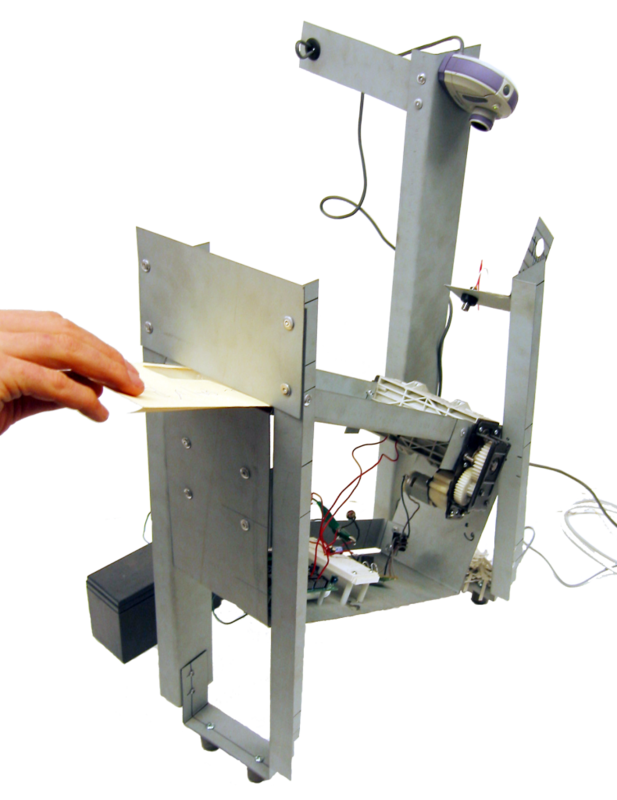 2002 A tangible user interface for information kiosks. 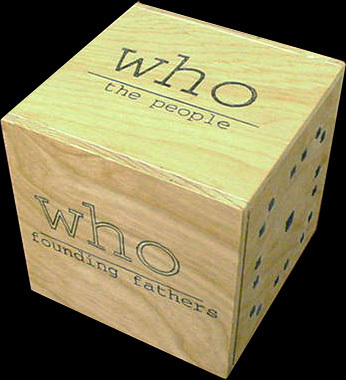 2004 A computationally enhanced game board encourages informal social interaction in public spaces. 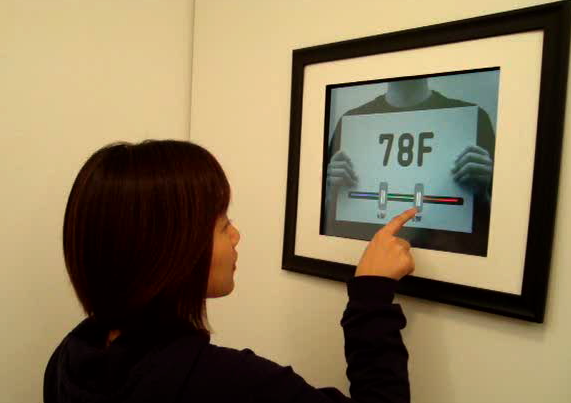 2011 An interactive picture frame and display reflects changes in the ambient environment . 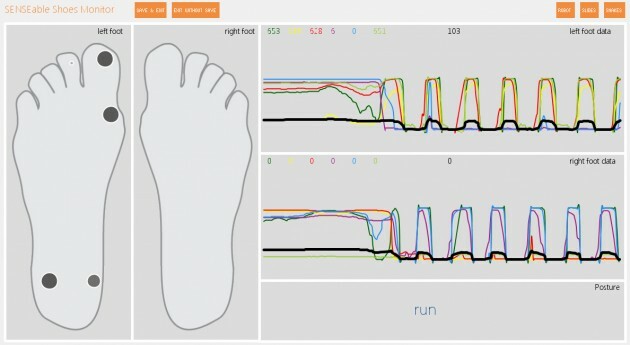 2009 A hands-free and eyes-free foot-computer interface supports on-the-go interaction with surrounding environments. 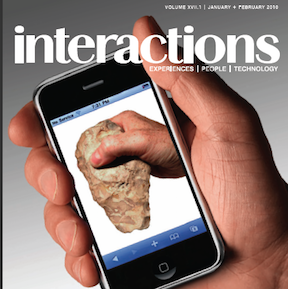 2010 ACM Interactions magazine cover story on tangible interaction design. 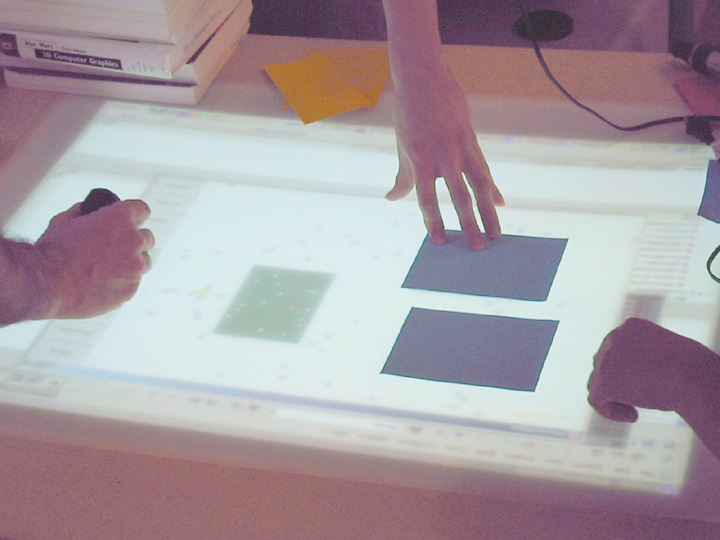 2008 Ambient tabletop displays connect two places by projecting shadows cast on one surface to the other. 2011 Suspenders that sense posture in real-time and alert the user via vibration to bad posture. 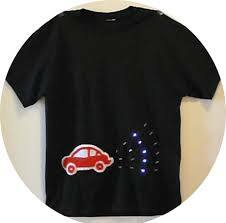 2010 A T-shirt senses and expresses air quality through visually expressive patterns. 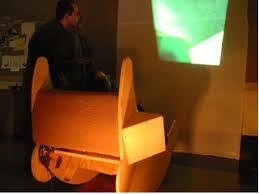 2003 Rock and swivel of a chair is an interface for a remote pan and tilt camera.